You have a unique life, unique circumstances, and unique goals. It only makes sense; you deserve a unique financial plan and investment portfolio. At Shore Wealth Management, your goals are our focus. This motto serves as a constant reminder that the most important thing we do is help our clients and their families meet their financial goals. Shore Wealth Management is an independent, multi-generational wealth planning firm. I founded this firm with the goal of helping guide families through each stage of life’s financial journey through a disciplined financial planning process and diversified asset management strategies. 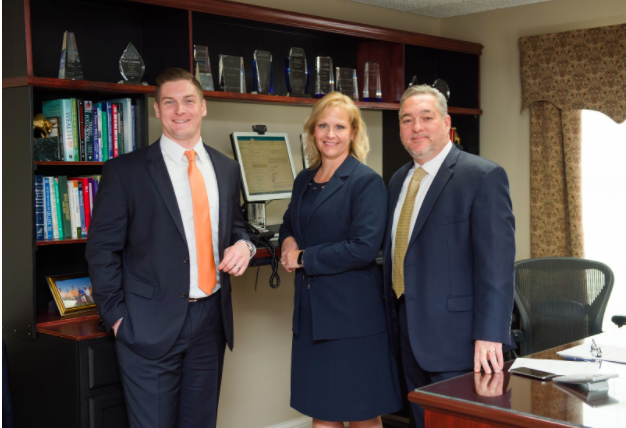 As an independent firm, we can provide a comprehensive range of wealth management services including: asset management, retirement planning, retirement distribution planning, estate planning, tax strategies, education planning, cash flow analysis and risk management. Our extensive resources allow us to tailor our services to each client’s individual needs. Our team has a personal commitment to the highest standards of accessibility, responsiveness, and follow-through. Through ongoing communication, we help our clients track their progress and stick to their plan while remaining flexible as their needs change over time. Taking an active interest in our client’s lives and providing a personalized experience, we strive to be our client’s most trusted advisor. We work with a select number of individuals, families, organizations, and business owners. Our clients have worked hard to attain their wealth. They want to protect and grow their resources to attain financial independence, offer security to their family and provide opportunities to future generations. Our clients are willing to allocate the time and resources required to help ensure they reach their financial goals. They seek a trustworthy team of professionals who keep their goals and objectives at the forefront of every recommendation. We’re proud to work closely with our clients and build multi-generational relationships. We provide a team approach to financial services. All of our clients have our entire team and the vast resources of our strategic partners at their disposal. They can feel confident knowing we work together to help them pursue their goals. Beyond providing a team approach, we offer a comprehensive suite of financial planning and asset management services. Our clients put their trust in us, and we don’t take this responsibility lightly. We believe our clients deserve prompt, competent, and courteous service with creative, intelligent solutions at a fair price. Through our thorough planning process and asset management strategies, we help our clients sleep better at night knowing their finances are being watched over. We hope they can focus on what’s most important to them knowing that we’re here to monitor their financial plan, manage their investments and mitigate risk. Are you looking for a financial partner you can trust to objectively guide you toward your goals and help you navigate your financial milestones? If you’d like to learn more about our unique process, and how we may be able to help, please reach out to us for a complimentary second- opinion meeting. Send us an email at [email protected] or call 217-709-0001. Eric Shore is the Founder of Shore Wealth Management with more than 25 years of experience and is recognized as an industry leader. Specializing in asset management, he strives to build efficient portfolios to maximize returns and minimize risk while making each decision based on knowing exactly what his clients are trying to accomplish. As an Accredited Investment Fiduciary® (AIF®) designee, he is committed to providing the highest level of fiduciary care to his clients. Based in Danville, Illinois, he works with clients nationwide. Learn more by visiting www.shorewm.com.